Rely on sustainable mobility with the Haarlem Eco. With the city e-bike you can travel safely, comfortably and in an environmentally friendly manner. The front motor and luggage rack battery with a capacity of 500 Wh provide sufficient support. The speed, battery level and much more can be read on your LCD display at any time. To make getting on and off the bike as comfortable as possible, we have positioned the battery of this e-bike in the luggage rack and mounted an angle-adjustable handlebar stem, which makes it possible to customise the sitting position. If you are travelling a few kilometres to the next town at the weekend, you can sit comfortably on a Selle Royal saddle. A suspension seat post and ergonomic handles from Herrmans support the comfortable riding experience. 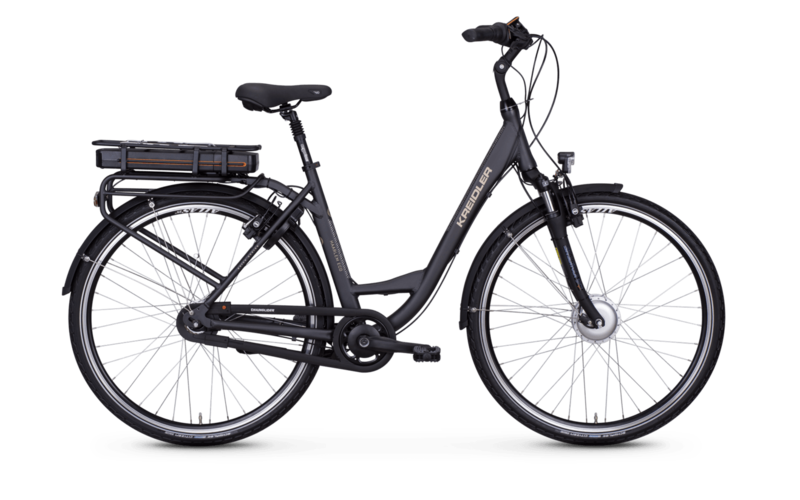 Equipped with a Shimano 7-speed hub gear and Magura rim brakes, the Haarlem Eco is a reliable companion for every day riding. Practical: The completely closed chain guard effectively prevents clothing or other objects from getting trapped,thereby offering additional safety.